WASHINGTON — A $10.8 million home in Northwest D.C. just received a major face-lift from more than 20 interior designers and artists in the area. In the past month, they’ve been busy stenciling walls, installing countertops and constructing custom furniture — all to get the seven-bedroom, eight-bathroom mansion in the Wesley Heights/Berkley neighborhood ready for its debut as the 2016 DC Design House. Every year since 2008, DC Design House founder and president Skip Singleton, along with an all-volunteer staff, has selected a home in D.C., Maryland or Virginia and used it to showcase the latest styles in home design. 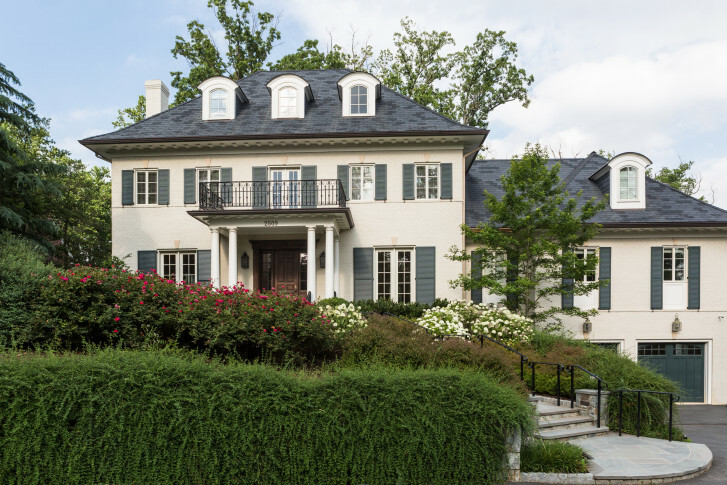 This year’s DC Design House is the former home to the French ambassador. He lived in the five-story, 11,242-square-foot home while his primary residence in Kalorama was undergoing renovations. Designers tour the home once it is vacant and then re-imagine each space — from libraries to living rooms and every hallway in between. In about a month’s time, their visions are brought to life and the public is invited to walk the newly designed home. This year’s DC Design House is open to the public Oct. 2 through Oct. 31. Tickets are $35 and proceeds benefit Children’s National Health System. Singleton says in the past eight years, the nonprofit has raised more than $1.5 million for the D.C. pediatric hospital.